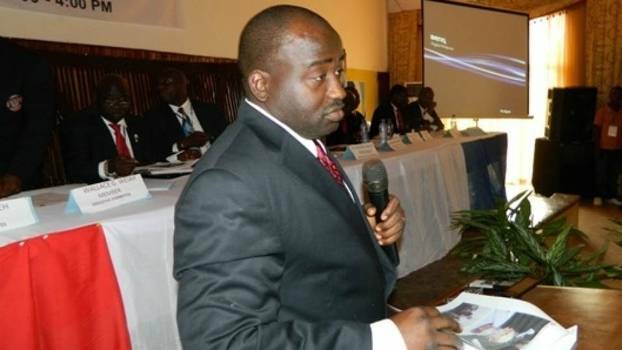 December 21 – After months of damning stories and rumours surrounding financial corruption in the Liberian FA and its controversial president Musa Bility, the investigatory chamber of FIFA’s Ethics Committee has stepped in to investigate. Early reports are that their findings are explosive. Bility called a meeting yesterday informing first and second division clubs that FIFA was carrying out an audit and that FIFA Ethics had sent a three-man delegation to investigate. He told the clubs that LFA Treasurer Jallah Corvah had admitted sending fake accounts documentation to FIFA. Bility said that he had not signed the documentation sent to FIFA but that his signature had been forged. Corvah has reportedly admitted to sending $600,000 to Bility’s wife Denise for their Stone Haven guest house and more than 100,000 to his son Sidiki Bility. Both sums were from the LFA account. Bility says his signature was forged and he didn’t authorise any money. The FIFA investigation team is being led by Jonathan Brown, a partner at specialist business risk consultancy Control Risks, Brown is a forensic accountant and leads the firm’s forensic practice for Europe and Africa. He is working alongside two FIFA executives and their focus appears to be on the financial assistance money that FIFA sent to Liberia in 2010. They have met with auditors PKF in Liberia. In total there have more than three hours of meetings and interviews at the LFA. LFA vice-president Musa Shannon told the FIFA auditors that he had no knowledge of FIFA’s financial assistance programmes and that this was handled exclusively by Corvah and Bility in the LFA. LFA general secretary Emmanuel Deah reportedly told the auditors that he similarly had no knowledge of financial transactions as he is not allowed to sign checks or has any financial authorisation. Meanwhile Corvah is said to have admitted that all the financial assistance paperwork sent to FIFA from 2010 was fake – backing up allegations from stakeholders that the LFA had been manufacturing false invoices to account for the money it had received from FIFA. Corvah said that he had warned Bility that the issuing of bogus documentation was illegal. Despite this Bility told the clubs that he had informed FIFA that they must suspend the audit while he carries out his own investigation into the forgery of his signature. He said that he would be untouched by the audit because it was a compliance audit and in any case his signature was a forgery. Bility’s position is further undermined by his acceptance on behalf of the LFA an $80,000 bonus in 2013 for complying with the FIFA financial standards reporting system. Incredibly, though perhaps not surprisingly, that money also appears to be unaccounted for. Liberian football stakeholders have repeatedly complained that none of the supposed FIFA or government money was making its way into the Liberian game with clubs struggling to pay players, referees unpaid, leagues and competitions being delayed or suspended and no prize money being dispersed. Money for equipment for grassroots initiatives had also been disappearing, even money sent by FIFA to aid the Ebola epidemic was disbursed by Bility to executive committee members, with Bility taking the lion’s share of that aid money. At press time Bility had not responded to Insideworldfootball questions.